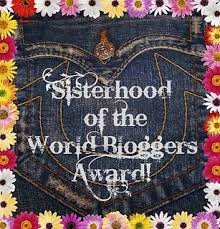 I’m proud to say that I have been nominated for the Sisterhood of the World Bloggers Award by Safa from Books Over People. Thank you so much Safa for nominating me. It’s such and honor to be recognized by my fellow bloggers. 1. Which is your favorite book blog here? – I can’t say that I have a favorite, but I do visit two particular blogs quite often. Those are Paris Baker’s Book Nook and Living Life With Joy. 3. Favourite author and why? – Nicholas Sparks is my all time favorite author. I have to own a physical copy of all his books (one day I will get them all signed) and I tend to read his books within days. I can’t wait for him to release a new one. He writes romantic love stories and I’m a hopeless romantic. 5. Favourite OTP from a book. – Sorry, I’m not sure what OTP is and my brain is too fried to figure it out. Lol. 6. The book/series that made you fall in love with reading. – When I was young, I loved the Goosebumps series. I think that’s where it all started. 9. If you could forget one book to experience it all over again, which one would it be? – Any of the Nicholas Sparks books. 10. One book that changed your life. – I can’t really think of a book that changed my life. 1. What did you do for the holidays? 3. What are you plans for New Years? 4. How many books do you want to read in 2015? 5. What’s your New Years Resolution? 6. What was your favorite book in 2014? 7. What’s the most recent book you purchased? 8. What’s your favorite beverage to drink while reading a book? 9. Where’s your favorite place to read a book? 10. Would you live in a bookstore if you could? Thank you so much! Since I’ve already done a post about this, I’m not going to do one, but I love answering the questions so I’m going to do that here! Dissonance by Erica O’Rourke. Wasn’t great. I don’t have any at the moment. We’ll see. I’m going to shoot for around 100, though I’ve read more than that the last couple years. Illusions of Fate by Kiersten White. Loved it so much I bought the hardcover. I hate needles too! It’s just not happening… 🙂 I loved The Giving Tree as well. Happy reading!